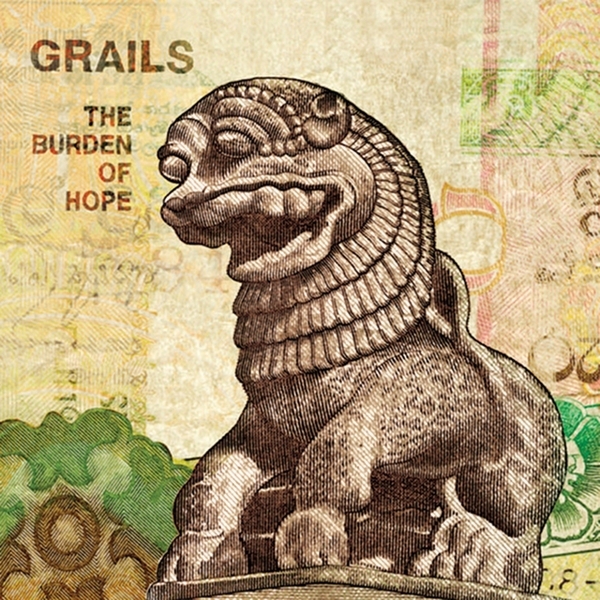 I don't know about you lot but we're absolutely crazy about Grails here at Boomkat HQ, last year's incredible 'Black Tar Prophecies' album on Important blew us away so it's great to see 'The Burden of Hope', the band's 2003 debut, back in press on vinyl finally. At this time the band were working under the messy banner of 'post-rock' and lumped in with the whole Godspeed You! Black Emperor/Constellation scene; they were using violins, letting themselves succumb to the influence of dusty American folk, you can see why this would happen. However there was always something that little bit 'different' about these guys, something that would gradually see them break free from the scene totally. The first clue comes on their fantastic cover of The Sun City Girls' classic 'Space Prophet Dogon', it's not your common-or-garden post rock act that would attempt something like this, and the band come out victorious showing how well they can grasp such folk-drenched insanity and giving more than a hint on their future direction. Elsewhere we are taken into cavernous ambience, deadly atmospherics and of course there's a healthy dose of the quiet-loud we've come to expect from the scene, but Grails don't allow themselves to become formulaic, like all the best post-rock acts they tell a story, and it's a story I'm more than willing to return to again and again. Huge recommendation!